Our MISSION Engage, support and inspire all learners to achieve and succeed. Our BELIEF We believe that our students should be considered first as the basis for decision-making. Cooperation: Recognize and appreciate how you and others contribute to the overall effort and success of your organization or group. 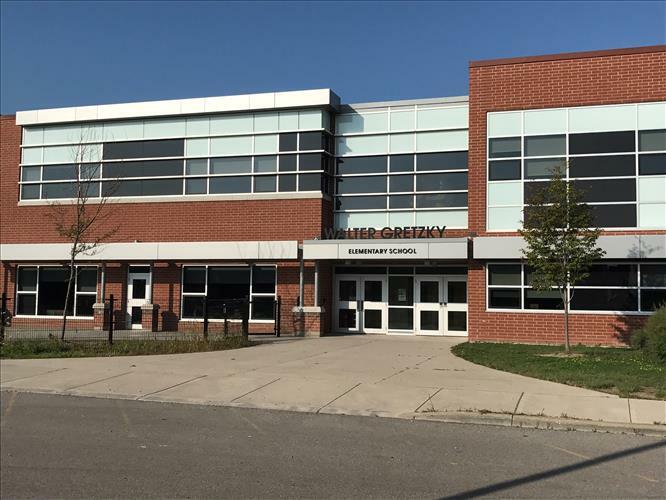 Walter Gretzky Elementary School does not prescribe uniforms for its students or staff. Clothing should be modest and appropriately reflect modesty, comfort, and tidiness. Clothing must be suited for the weather. Students need indoor shoes to be worn in the building at all times. Belly shirts or low-waisted pants exposing the midriff are not acceptable nor are tops with low-cut necklines and muscle shirts. Grades K-3 spaghetti straps are permissible. Grades 4-8 straps must be 2 fingers wide - no tube tops or halter tops. There is no acceptance of offensive messages, language, slogans, brand-names, pictures, or designs on clothing worn to school. Students will be asked to cover up or will be sent home when clothing does not meet this simple dress code. Hats (or head wear) must be removed when inside the school, unless for a specified activity or special day. Shoulder straps on shirts must be at least 2 fingers wide. Length of short and skirts - no shorter than the tip of your fingers when hand is placed at your side. Pyjama tops, bottoms and night shirts are not acceptable clothing at school. Student attendance is checked twice during the day. If your child will be absent or late, parents are required to phone the school. Please, phone 519-770-1288 each day of your child's absence. For your convenience, an answering machine is available and messages may be left to inform the school of your child's absence. This will assist us in providing a measure of safety in that children sent to school and who do not report to their classroom are identified quickly so parents can take action. If children are to be out of school for an extended period of time, parents are required to complete a "Temporary Out of School" form and return it to the office. Students are responsible for acquiring and completing the assignments missed during their absence. The Board of Education requires that all students who arrive at school late or leave the school early must sign in and out at the office. Parents who pick up their children during the school day for appointments must also sign their child out of the school. Parent volunteers, co-op students, maintenance workers and Board personnel are required to sign in and out. A Log Sheet is located on the counter in the office. During school trips, students will be required to ride a school bus. Riding the bus is a privilege - not a right. Co-operation on everyone's part is what makes this work for all of us. The bus driver is in charge on the bus and students must follow the driver's direction to maintain their bus privileges. Please discuss with your children the expectations for riding a bus quietly, staying in one seat, and respecting the driver. This is in the interest of all children. Students are allowed to bring cell phones to school. The use of these phones as educational tools during class time is at the discretion of the classroom teacher. If the phones are used inappropriately, they will be confiscated by the teacher and returned to the child at the end of the day. Repeated abuse of appropriate use will result in your child losing the privilege. These measures are taken to protect the learning environment and safety of your children. Students are not permitted to use cameras or video recording devices at school. The Grand Erie District School Board recognizes the Child and Family Services Act, particularly those sections of the Act which relate to suspected child abuse. This Act applies to all teaching, supervisory and professional support staff. Parents should understand that all educators are required by law to report children for whom abuse is suspected to the Children's Aid Society. It is the responsibility of the CAS to decide how to proceed. In the case of severe weather, the Board may decide to close the school for your child's safety. Please listen to CKPC 1380 AM for information involving school closures or check the Board's website http://www.granderie.ca/. We are in Zone 4. Please do not call the school. On a rare occasion, it may be necessary to close the school early before regular dismissal time. In the event that this should occur, you will be contacted prior to your child being sent home. The Grand Erie District School Board has a zero tolerance policy toward all forms of harassment. The Board is committed to providing a working and learning environment that is free of harassment, which supports productivity and the personal goals of dignity and self-esteem of every individual. The Board expects all students, staff, and visitors to behave in a respectful, courteous and appropriate manner at all times. The Board will respond to all forms of unacceptable behaviour in a manner consistent with the Board Policy, Procedure on Harassment. To view the policy, please visit the Board's website at http://www.granderie.ca and select the drop down menu titled Board. If a child becomes ill or injured at school. we will notify the parents or guardian as soon as possible. If they cannot be reached the "emergency contact" will be contacted. If no contact can be made, we will deal with the emergency as best we can. At all times, the safety and well-being of the child is our priority. A nurse is not available in the school. If a child is too ill to attend class, you will be requested to take him/her home. Children who are ill should not be sent to school with the parent hoping the will be okay when they get to school. Injuries do happen and, in most cases, some ice or a bandaid will address the problem to everyone's satisfaction. When an injury happens that, in our opinion, may require medical attention, we will contact the parent as quickly as possible. All blows to the head, known to staff, are reported to parents. From time to time, parents request that their children be kept in at recess due to illness. We generally do not have the staff available to supervise these students. If children are not well enough to spend these times outdoors and benefit from fresh air, it is best if they remain at home. The school staff is only permitted to store and administer prescription medication for students. In order to do this we must have a completed authorization form, SIGNED BY YOUR DOCTOR, along with the medication. The appropriate form can be obtained from the school office. All medication MUST be in original prescription containers and is kept locked for safekeeping. School staff are not permitted to store or administer non-prescription medication. Peanuts and other nut products will cause life-threatening allergic reactions in several children in our school. For this reason, we ask that you NOT send nut products of any kind to the school. Parents are asked to read product labels carefully. Please reinforce with your child the importance of not sharing or trading their food at school. The families of children with these allergies along with everyone at Gretzky thank you for your support throughout the school year. Our School Resource Team meets monthly to assess student needs and to make program revisions and recommendations. Members usually include our Learning Resource Teacher, Special Education Consultant, Behaviour Counsellor, Speech Pathologist, Social Workers, Psychiatrist and Child and Youth Worker. You will be informed in advance if your child is to be discussed at these meetings. Please make certain that your contact information is kept up-to date at the school. In the interest of your child's safety, ensure that emergency contact is current. Please contact your child's classroom teacher or the school office if you are interested in becoming a volunteer. All volunteers are required to complete a Criminal Record Check. 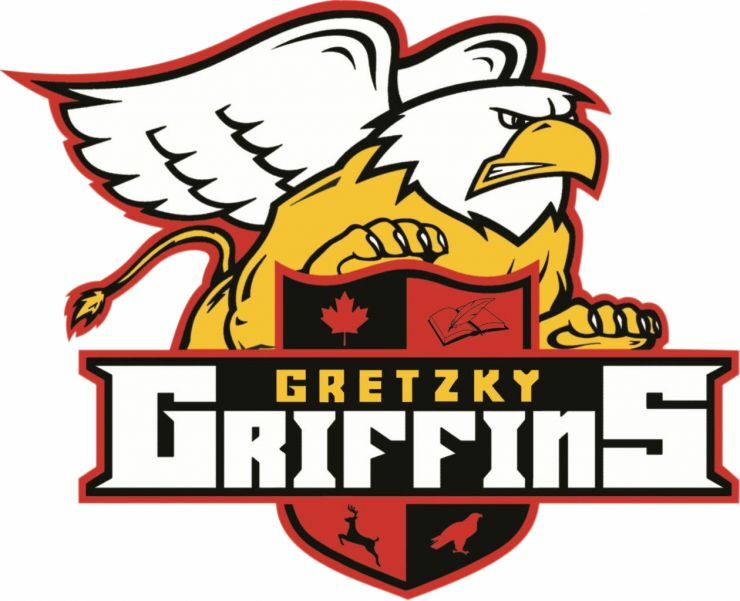 Staff will begin supervising the school playground at 8:30 a.m. students are not allowed on the playground before this time. Break #2 is designated as our "lunch" break. Students may leave school property at this time but only with written permission or if picked up by a parent. All students must sign out and back in when they leave the school for lunch break.